The new performance cabrio could have upwards of 800 horsepower. With a removable top and a 752-horsepower (561 kilowatts) biturbo V12 underhood, the Pagani Huayra Roadster is an impressive machine. 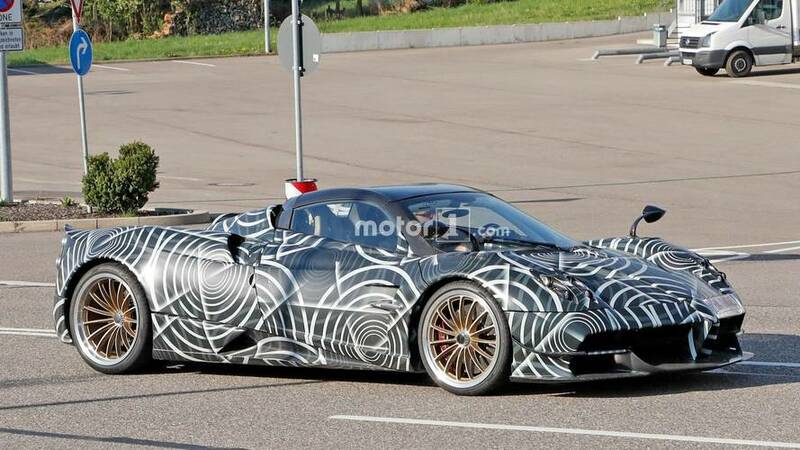 And just like the coupe, the company is planning an even more powerful version in the form of a Huayra BC Roadster. Our spy photographers captured the new performance vehicle testing. 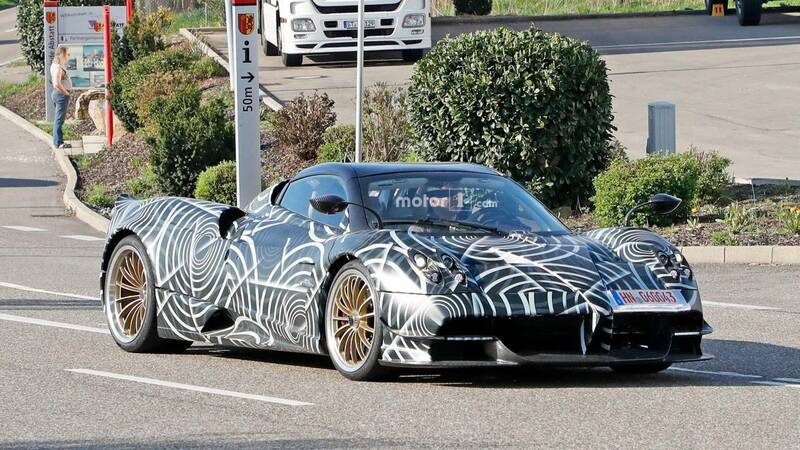 The images show the open-top Pagani testing on public roads in Italy, wearing plenty of camouflage to hide its true identity. Even underneath all that camo, it appears that the front fascia is a bit more aggressive than the standard roadster, with some extra bodywork and a larger grille opening similar to the BC coupe before it. The backside borrows most of the same cues found on the standard roadster, including the aggressive diffuser and quad exhaust tips. Missing from the BC bodywork is the massive rear wing, the larger diffuser, and unique BC wheels – each of which we could see either on a later prototype, or on the final production model. The removable top remains, but it appears to be a carbon fiber fixture rather than the unique cloth option that the company created exclusively for this vehicle. 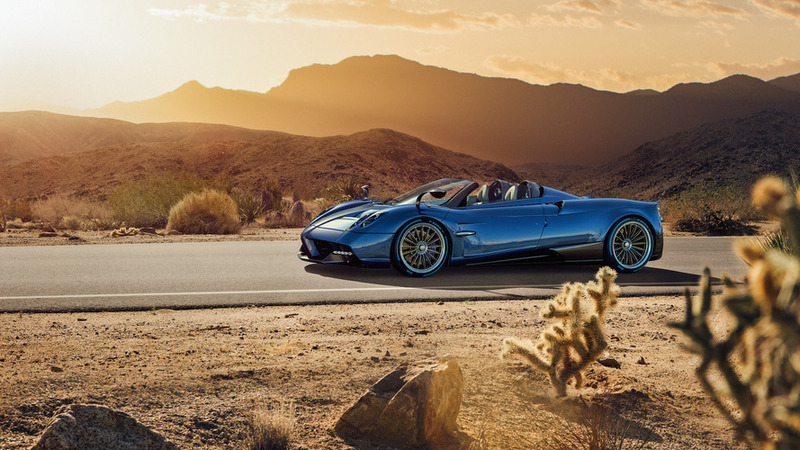 Already we know that the Huayra Roadster is lighter than the standard coupe – by a whole 176 pounds (80 kilograms), in fact. But the BC could be even lighter still; the BC coupe tips the scales at just 2,645 pounds (1,199 kilograms), making it the lightest Huayra to date. Power for the BC Roadster should come from the same Mercedes-AMG biturbo V12, but in this application, it could produce upwards of 790 (588 kW) or 800 hp (596 kW). All that power will be channeled through a seven-speed automated manual gearbox engineered exclusively for the BC. Rumor has it that Pagani will only produce 100 examples of the BC Roadster. Each one should ask more than the BC coupe, which costs a whopping $2.55 million.